Two weeks ago my son had a febrile seizure (convulsions) from a sudden high fever of over 41 degrees celcius. 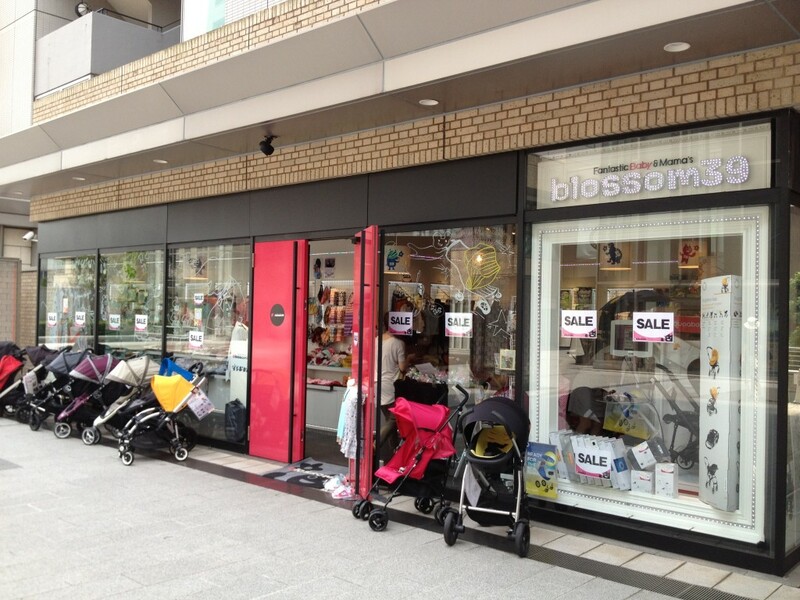 If you are living in Japan or traveling here with your baby, make sure you read this post. 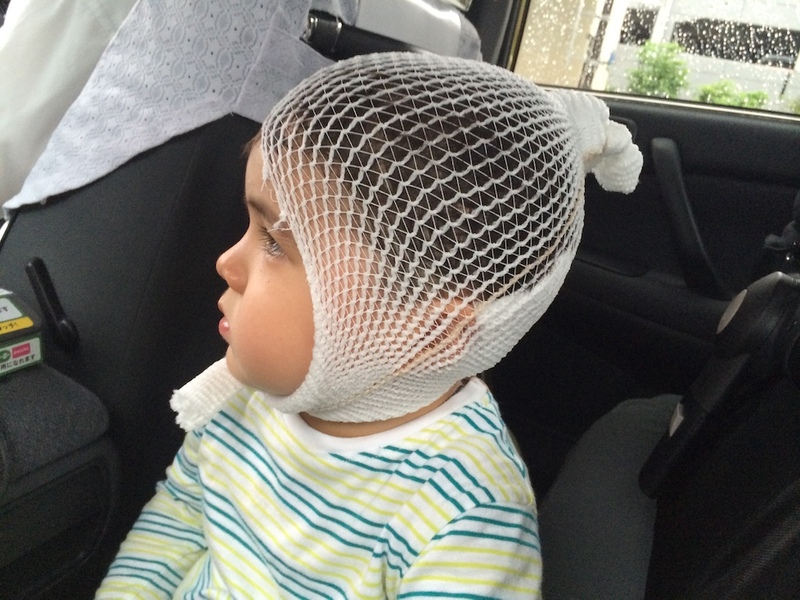 Do you know what to do if your baby has convulsions from a sudden high fever in Japan? Do you know how to call the ambulance? Before having a baby I had never heard of febrile seizures. 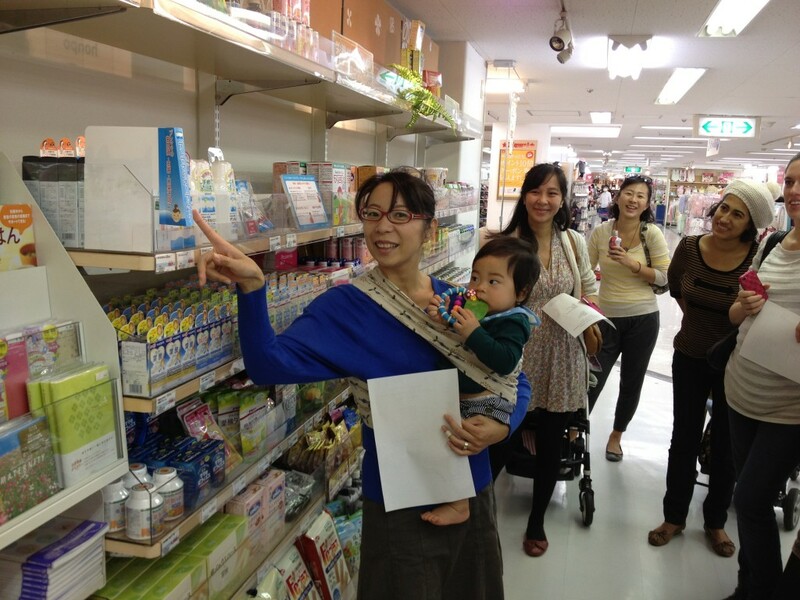 It was only last year that I heard about it from two friends of mine in Japan who had experienced this with their babies. Just listening to my friends’ experience really helped me to recognise what was happening. But it didn’t prepare me for what was to come though. It was SO much worse than I had ever expected or imagined. It felt like my heart stopped and I went completely into panic. Febrile seizures seem to be more common in Japan (5-8%) than other countries such as America and Europe (2-5%). The reasons for this are not clear (some research papers indicate genetics), but it may also be due to the fact that you can’t buy children’s fever-reducing medicine over the counter here in Japan, such as children’s panadol or tylenol. My son had developed a fever during the day. I had given him children’s 1-5 panadol (fever-reducing medicine from Australia) and he had slept for a few hours, but when he woke up he had a fever again. It was already evening, so I decided to give him some dinner, a quick shower, and then give him some more panadol before putting him to bed. After the shower I put his pajamas on and was just getting a book out of his drawer when I heard him fall over. I quickly turned around and saw him sitting against the wall and his eyes rolled back into his head and he started convulsing. As soon as I saw it I knew that it was due to the fever. I rushed over and picked him up in my arms and cradled him on the floor and kept saying “it’s okay, it’s okay”. But then it got worse. He went blue in the face and his body went stiff. He couldn’t breath and started foaming at the mouth. I went into panic and knew I couldn’t call the ambulance on my own. I didn’t want to leave him on the floor while I got my mobile, and even if I did call the ambulance I didn’t know what to say. So I picked him up and rushed next door to my neighbour and banged on her door and screamed for her to help. She is a mother with 3 young kids. She opened the door and I said “Help call the ambulance!” and rushed inside her apartment and sat on the floor with my son in my arms. She can speak some English and she explained to me that her son had had a febrile seizure before, so she knew what to do and what to say on the phone to the ambulance. I was rocking my son in my arms, but she said stop rocking him and just let him rest and be still. By this time my son’s colour starting coming back to his face and his eyes started to open. He was still stiff and shivering, but at least he was breathing and looking at me. Were both arms shaking or just one? Were his legs shaking too? When his eyes rolled back, did they go straight up or to one side? Note: If both arms shaking and eyes roll straight up, then the seizure was likely caused by high fever. However, if only one arm is shaking or eyes roll to one side, they explained it could be due to a more serious reason such as a blood clot in the brain. The ambulance medics checked my son’s pulse and put the oxygen mask on. Then my husband thankfully arrived (my neighbour called him on the phone to tell him what was happening and he was already at our station so he ran home) and we took my son to the hospital in the ambulance. At the hospital emergency room, the doctor checked him again (heart rate, lungs, throat, ears) and asked questions about what had happened and any history of febrile seizures or epilepsy in our families. Then he said the febrile seizure was likely due to the high fever and explained about the convulsions and what to do if it happens again. Lie him on the floor to enable maximum oxygen into the lungs (the doctor said even if it looks like your baby is not breathing, there is a small amount of oxygen getting in). Lie him on his side if he vomits. Time the seizure. NOTE – If this is your baby’s first febrile seizure since birth, call the ambulance immediately. If your baby has had a seizure before (like mine), the doctor said to time any subsequent seizures and if it lasts under 5min, go to the hospital by taxi. If subsequent seizures last over 5min, then call an ambulance. Take a mental note of what is happening to your baby. Are both arms moving or just one? Are your baby’s legs moving too? Did your baby’s eyes roll back straight up, or to one side? After seeing the doctor, we went home. My son fell asleep in the taxi as it was already late and we put him to bed. He woke up again at 4am with a fever so I gave him some Panadol and after a while he went back to sleep. Then he woke up again at 7:30am with no fever and very talkative. He was very tired and clingy for a few days, but the fever did not return and he thankfully got better. Take mental note – are both arms moving or just one? If so, right or left? Are legs moving as well or just arms? Did eyes go up or to the right or left? For more information, just search “febrile seizure” on the internet and you will find a lot of information and advice for what to do. 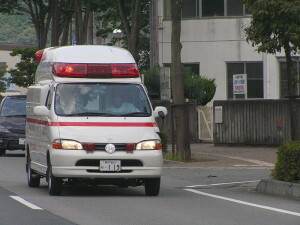 As explained above, I rushed to my Japanese neighbour for help and she called the ambulance for me. 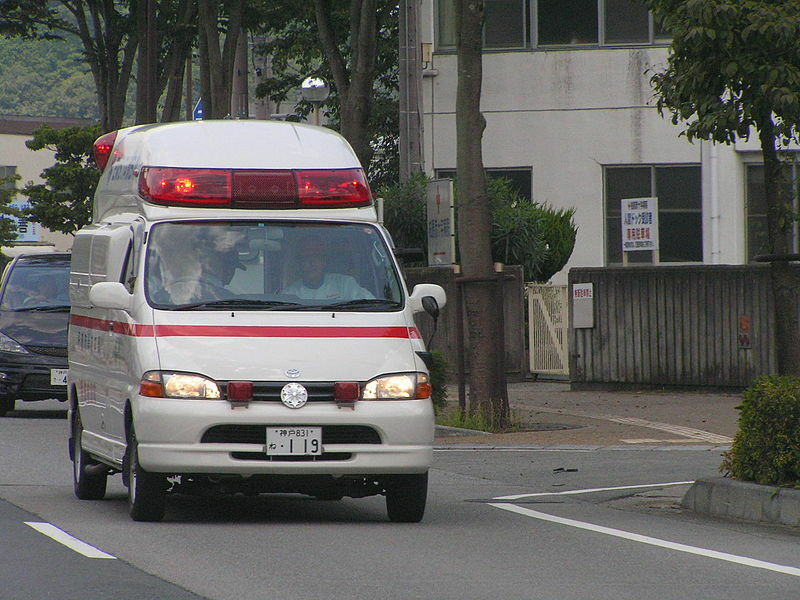 If your baby has a febrile seizure and you are in a panic like me or don’t feel confident to call an ambulance in Japanese, make sure you ask for help. 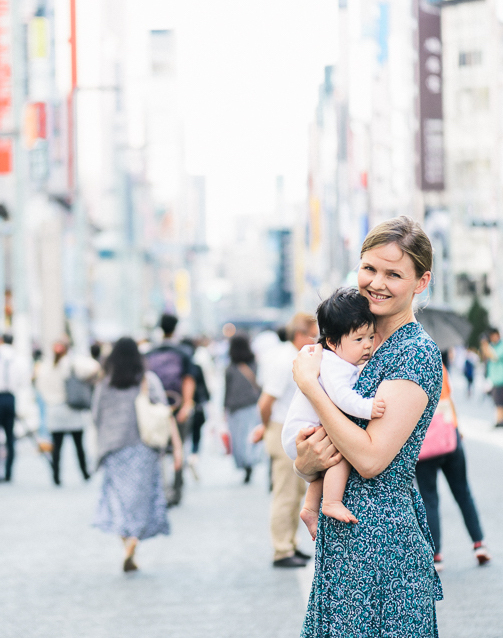 If you are traveling in Japan and staying in a hotel, call the hotel reception or rush down with your baby to urgently ask them to call an ambulance. Please take care everyone. I hope your babies and children never experience this, but if it does happen I hope that this post helps to prepare you. If you have had a similar experience or have some advice, please write in the comments below. I would really love to hear from you. 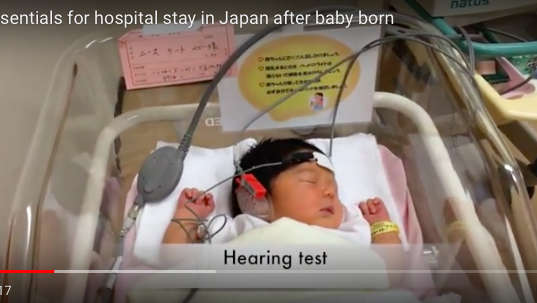 It is so important for us to share our experiences in Japan and it can really help other parents and families who might be in the same situation. Photos from the Akachan Honpo Gotanda tour! アカチャン本舗ツアーの写真公開! 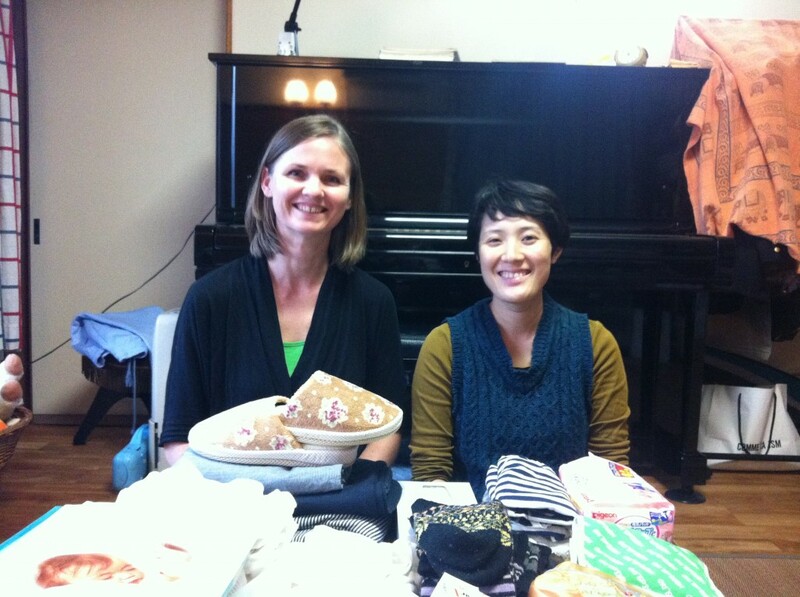 Interview with Sakura, Owner of Blossom39 Baby & Mama’s shop in Daikanyama! 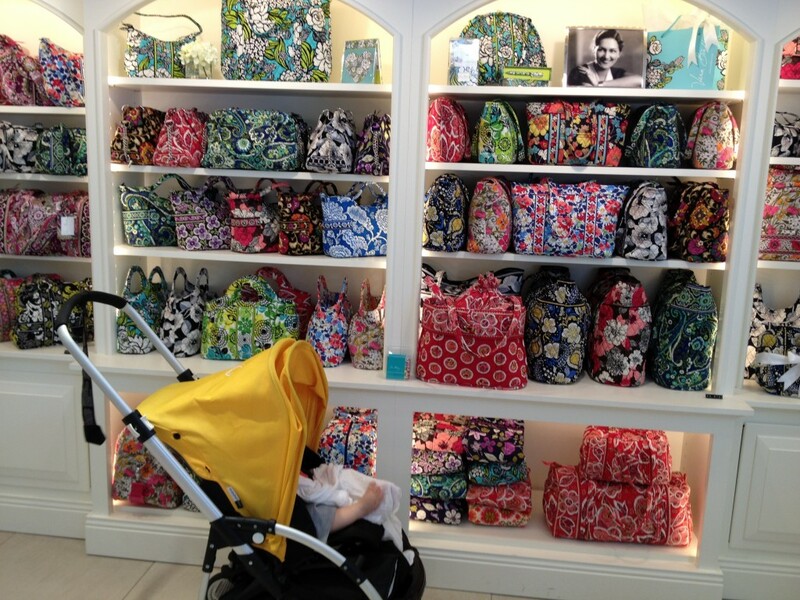 Vera Bradley bags – perfect baby bag for summer in Tokyo! Kate- how simply terrifying! I’m so glad baby was not harmed and that you felt able to share this experience with us. Thank you for the ‘calling an ambulance ‘ link- it’ll definitely be printed out and stick on the fridge. A few months ago my baby fell over at home with her binkie in her mouth and immediately started screaming with blood on her lips. I panicked and thought she had damaged her mouth or teeth or teeth buds so scooted her into her pram to the nearest hospital only to be told there was no pediatric oral surgeon on duty and to ring Himawari to find the nearest hospital that could accept her. By the time I had done this she was fine with no lasting damage ( I took her to the dentist the next day) so I cancelled the emergency appointment. I do worry about the upcoming summer heat if my baby gets sick but have as you suggested previously stocked up on Calpol from home (baby paracetamol) to administer if she has a temperature and know to strip her to her nappy to help her body temp cool. Thank you so much for sharing this Kate and I am SO sorry you 3 had to go through it. This is my BIGGEST fear and it is why I am quite liberal with the fever-reducing medicines when my boys have fevers. I am so glad all worked out okay. Thank you again for sharing!!! Hi Kate, what a terrifying experience! Thank you for all the info, particularly about calling an ambulance and how to handle an infant having a seizure. It seems there is conflicting evidence however about how advisable Panadol is for fevers. In fact some medical practitioners outright refuse to give it as they say what causes seizures is not a high temperature, but a sudden rise in temperature, which can happen when the effect of a dose of Panadol wears off. I am no doctor but just wanted to point out that there is a difference in opinion about this for your readers! 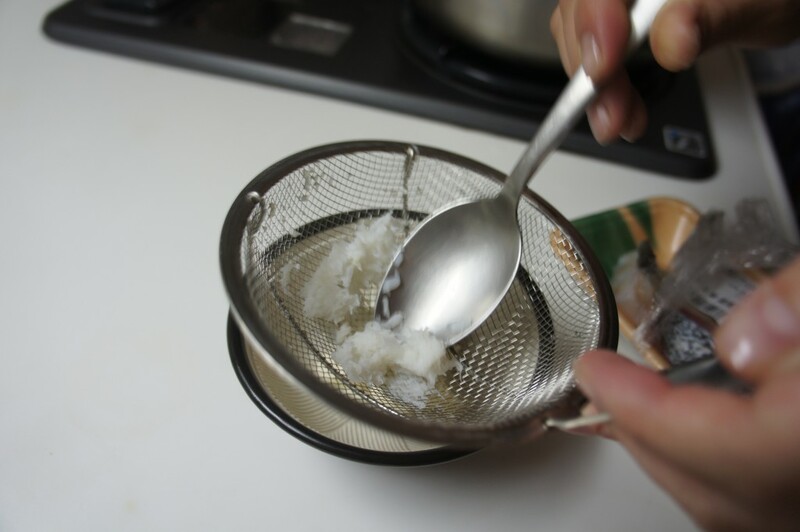 Thank you Philomena – My Japanese neighbour (the mother who helped call the ambulance) also mentioned this, and that she doesn’t give her children fever-reducing medicines but uses other techniques such as the the cool gel packs that are popular in Japan. I will do some more research on this. Thank you! I am so glad your son is okay. Thank you so much for this info. I have not had to go through this thankfully, but this is vital information for any parent. Thanks for sharing, whilst I’ve had experience of febrile convulsions at work and know how common they are, knowing how to handle it with my own when we’re in Japan has been a bit of a concern for me, especially as I don’t speak much Japanese, and this is really helpful. If you’re interested in the causes, whilst not precisely understood, this link may be of interest (http://www.nhs.uk/Conditions/Febrile-convulsions/Pages/Causes.aspx). The only advice we used to give that I don’t think was mentioned was to try and reduce the risk was to keep the environment cool (i.e. fans, not too many blankets etc) but not so much that it causes shivering (which increases body temperature). It can feel a bit weird to tell someone who’s shivering not to put another blanket on but it makes sense if you think about it! Thank you Scott, this is great advice. It is so hard to judge regarding how many clothes to put on when a baby has a fever. I have troubles with this myself and constantly worrying if I have put my baby in too many clothes or not enough. Especially hard if baby has a fever in summer! Definitely a good idea to keep the environment cool. Thank you! I stuck my finger in my toddlers mouth so she could breath and didn’t bite/swallow her tongue, and I didn’t wait for an ambulance. Fortunate enough to have a doctor with a mini-hospital with 24 hour care who loves her job so I rang ahead. She used a Paracetamol I had with me (great) and the fever dropped and seizure eased, but then used an intravenous drip (not so great, but worked) to flush the nasties from her system. Keep baby rugged and ice packed…its like turning up the bass AND the treble but it stabilized the temperature as sudden increases and decreases are best avoided. She is now 16, healthy, brilliant and beautiful. Its horrible, but far more common than expected. And she was always sitting up in bed, her usual bundle of energy and volume again within 2~3 hours. If handled correctly, it’s a phase that eventually passes. So sorry you had to experience this! Good to hear your child is ok now. Our daughter used to have fever shocks often when she was under six years old. We got medicine from the hospital to stop the fever shock when it was happening, or to prevent it. It is an dispensitory called ダイアプ Diap, which I would give my daughter when she had fever which would suddenly go up, disregarding general fever medicine used. I would also use it to stop the attack when it happened, as the longer the attack the higher the risk of brain damage. It also seems that certain type of cold/fever medicines have ingredients that increase the possibility of an attack. Our daughter was an extreme case though. We got this info and the medicine at the Tokyo Red Cross hospital.